The foundation of all cost control comes with the use of good physical inventory tracking. 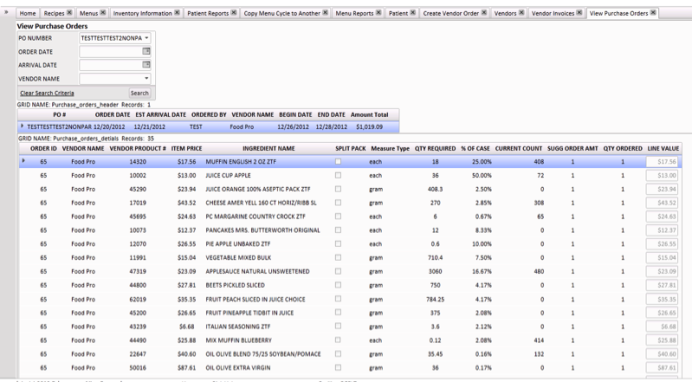 Dietary Manager enhances your ability to organize, maintain and use inventory data to drive ordering. We recognize that some 80% of the items you purchase are standard par type items, items that you maintain set levels for. For these items, we give you the ability to set par levels and create orders driven by the on hand vs the standard par. For items that should be controlled based on the menu, Dietary Manager provides an intuitive interface that integrates menu needs by selected periods, which align with your order days. Based on quantities to be produced order guides are created and can be modified prior to ordering. Our goal is to insure you have what you need in the right amounts, with the least amount of effort. 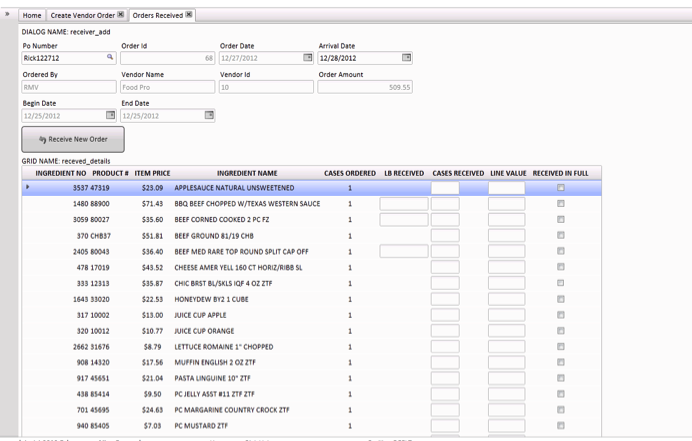 Customized inventory tracking by storage location and product category. Dietary Manager will rationalize your inventory list to maximize your cost control with your direction and update prices monthly, with data from your vendors. 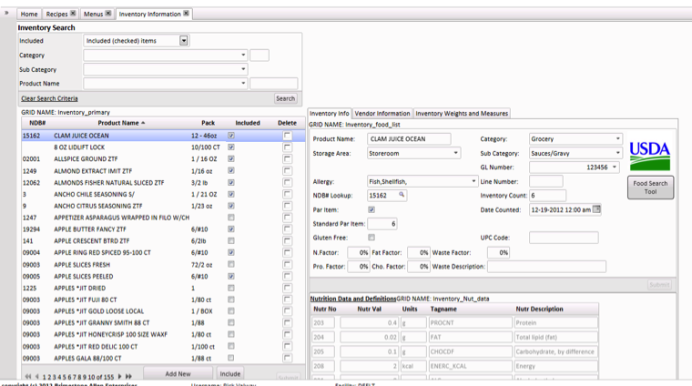 Physical inventory taking is simplified and supports both standard par items and major ingredient tracking.